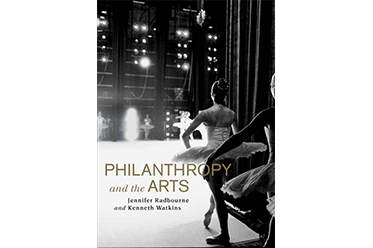 In a new book by Jennifer Radbourne and Kenneth Watkins, Philanthropy and the Arts documents an emerging model of philanthropy that moves beyond the fundraising process to capture the essence of philanthropy in the intrinsic values held by donors, benefactors and philanthropic leaders. These values are the same as those that the arts bring to society, so the act of philanthropy itself embodies a commitment to ensuring the arts deliver for Australia a better community in which to live. Jennifer Radbourne and Kenneth Watkins came together after 25 years of mentorship, friendship and an interest in each others work to write together the journey espoused through the book. They hope others will enjoy learning more about how philanthropy can make a difference in their lives and the lives of others! Professor Jennifer Radbourne is an academic whose career has encompassed both research and practice in arts management, arts governance and arts marketing. She has published internationally in journals and books, has consulted in the arts in Australia and Asia, held board directorships on major state arts organisations in Queensland, and membership of the Scientific Committee of the Association Internationale de Management Culturel (AIMAC). Kenneth Watkins has spent twenty-one years leading fundraising and philanthropy at The Australian Ballet, where he has raised $80 million. During this period he has been invited to mentor other arts organisations in Australia and to attend the elite fundraising program at Harvard University. Kenneth has contributed to many media articles and industry publications. Philanthropy and the Arts is published by Melbourne University Press. To purchase the book, visit: www.mup.com.au For more information about Kenneth Watkins, visit: www.kennethwatkins.com for details.